In the dark depths of a 6,000 square foot industrial warehouse in San Francisco's Mission District, a shadowy figure of a man steps into the light. That man is Stephen Parr. He's an archivist, a curator, a collector, an artist, a writer, and an image maker, but if you ask him yourself he'll tell you he's in the memory business. That memory business is Oddball Films - the largest private film archive in Northern California, and also the most unusual. There's something magical and otherworldly about setting foot inside the Mission warehouse space that is San Francisco's Oddball Films. It's difficult to fully describe in words (though I just tried). It's more of a feeling and a wonder that comes over you as you navigate through the darkness of the floor to ceiling shelves stacked with film cans, past the other odds and ends only an eccentric collector of tchotchkes would have until you reach the cozy screening room that resembles equal parts burlesque lounge, movie theater and greasy spoon diner. Then a small man in a hat with a distinct voice and dressed in even more distinctive vintage clothing steps out from behind a 16mm projector and welcomes you to something you've never seen before. At least that's how I remembered it the first time I went to Oddball Films and what I've tried to capture here in this short portrait of the place and the lovely unique man behind it that is sadly no longer with us. I was fortunate to get to know Stephen Parr in what turned out to be the last year of his life and feel blessed I was able to share his story. 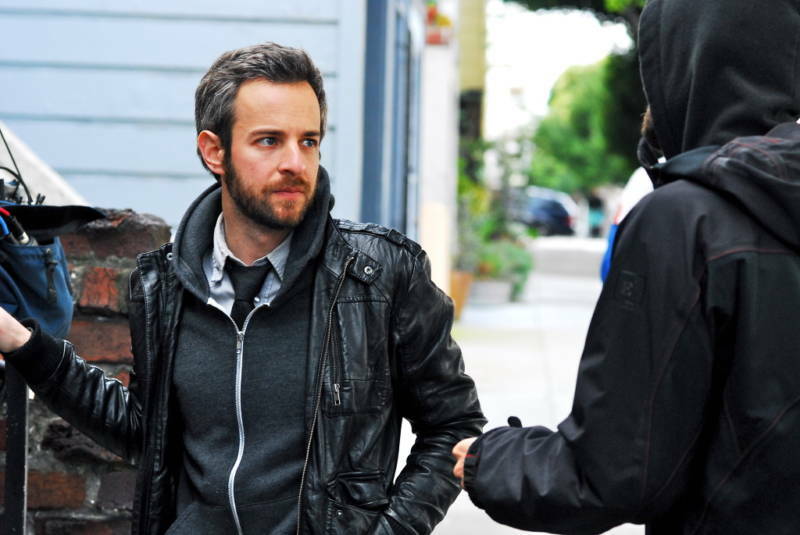 Joshua Moore is an award-winning filmmaker based in San Francisco. He curates film and new media for the Jewish Film Institute. His "delightfully freewheeling debut" feature, I Think It's Raining, had its world premiere at the Karlovy Vary International Film Festival, Czech Republic, in 2011, where it was nominated for the Independent Camera Award and received glowing reviews from Screen Daily and Variety. I Think It's Raining was also the opening night film for the Cinema by the Bay Festival, San Francisco, in 2011 and has played in many film festivals across the country including Rooftop Films, New York City. His most recent film, Oddball, a creative profile on Stephen Parr, the Oddball behind San Francisco's Oddball Films, played numerous film festivals and is a Vimeo Staff Pick.